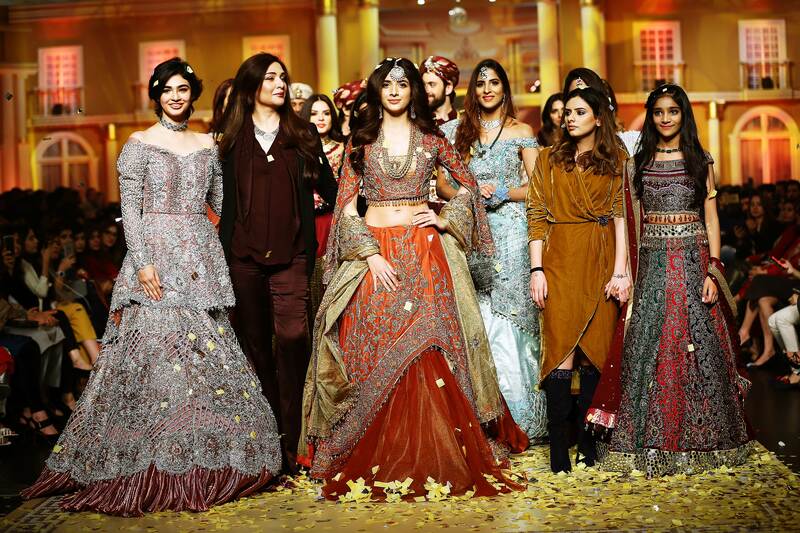 LAHORE: The bridal extravaganza continued on the second day of Pantene Hum Bridal Couture Week (PHBCW) as the elaborate affair was all about the glitz and glam, much like any other bridal fashion week. 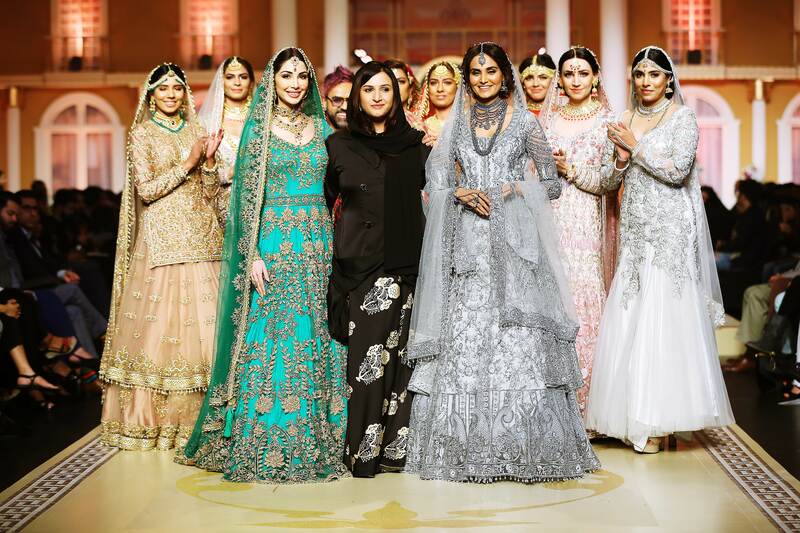 The first show featured five designers including Amina Yasmeen by Mansoor Akram, Aneesa Kiani, Eden robe, Aisha Farid and Erum Khan. The show started with Mansoor Akram’s collection that featured modern silhouettes with intricate detailing on each piece. The collection was not only elegant but wearable as well with maroon, black and champagne colour palette. The use of velvet was done in such an incredible manner so that the collection as a whole did not lose the elegant feel. The use of Swarovski stones, thread and sequence embroidery with contemporary cuts made a statement. Asim Azhar gave a power packed performance as the showstopper in a maroon kurta and white trousers along with Uzma Khan who donned a maroon lehenga choli accessorised with a gorgeous matha patti. Next up was Aneesa Kiani’s collection ‘Raa-e-Ishq: 3 Stages of Love’ which featured heavily embellished traditional silhouettes. A little too blingy for the eye, it featured a colour palette of crimson reds, soft golds, shades of grey on lehenga’s, layered ensembles and gowns. The piece that stood out was carried by model Sabeeka Imam, a sea-green coloured full-length ensemble with heavy gold embellishments. The third collection for the night was Edenrobe’s men collection ‘The Grandeur’. An interesting collection featuring well-tailored suits and heavily embroidered and embellished sherwanis. The colour palette was dark with black, navy blues and maroon. Each ensemble was accompanied by turbans or velvet shawls. 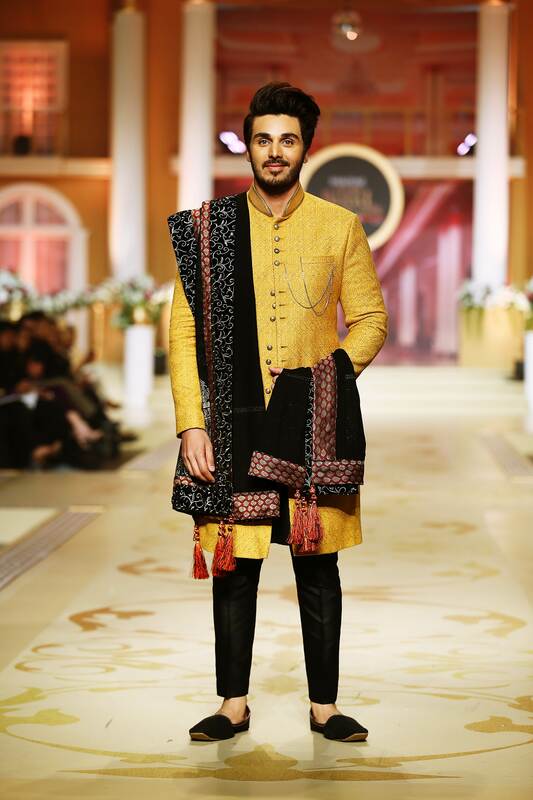 Showstopper Ahsan Khan wore a mustard coloured sherwani, an unconventional colour, with a maroon velvet shawl. Aisha Farid’s collection ‘Crystalline’ was all about modern silhouettes and trendy cuts along with statement sleeves. Lehenga choli’s and full-length gowns were also featured in the collection with an elegant men’s collection in black with eye-catching embellishments. 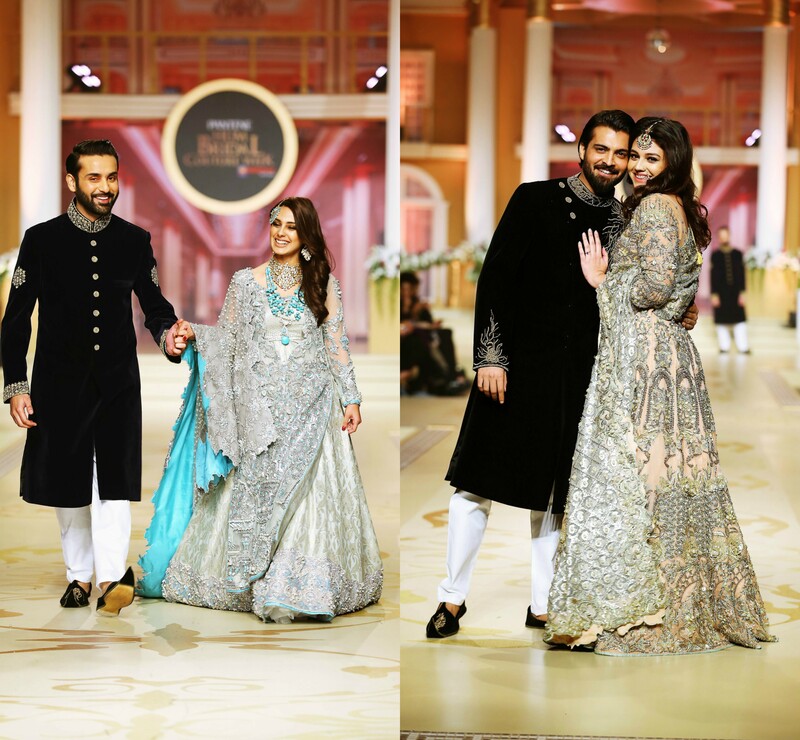 It was a celebrity affair for Aisha Farid as Iqra Aziz, Yumna Zaidi, Zara Noor Abbas, Asad Siddiqui, Sami Khan and Affan Waheed walked the ramp for the designer. 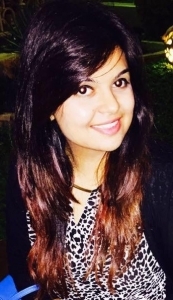 Erum Khan concluded the first show with her “Sahiba”. Referred to as a risky collection by journalists, it featured modern silhouettes for a modern-day bride. 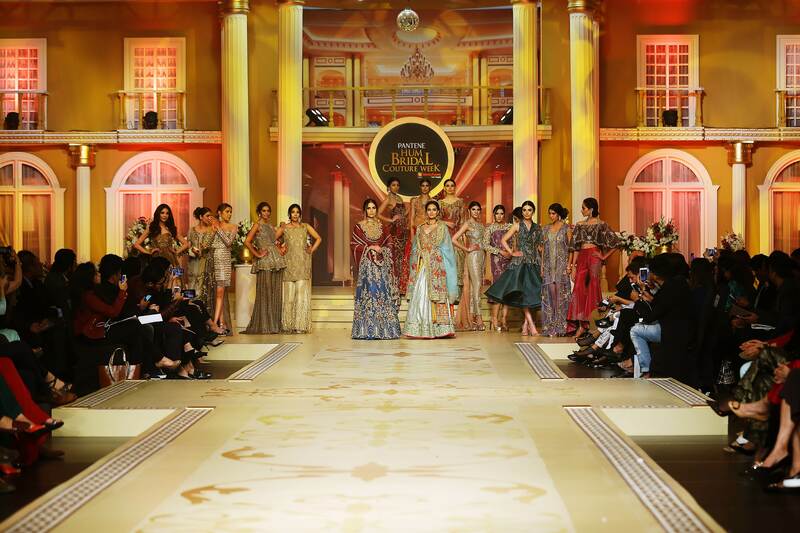 With a red, gold and champagne colour palette, it featured lehenga cholis, sarees and straight capri pants with shirts. 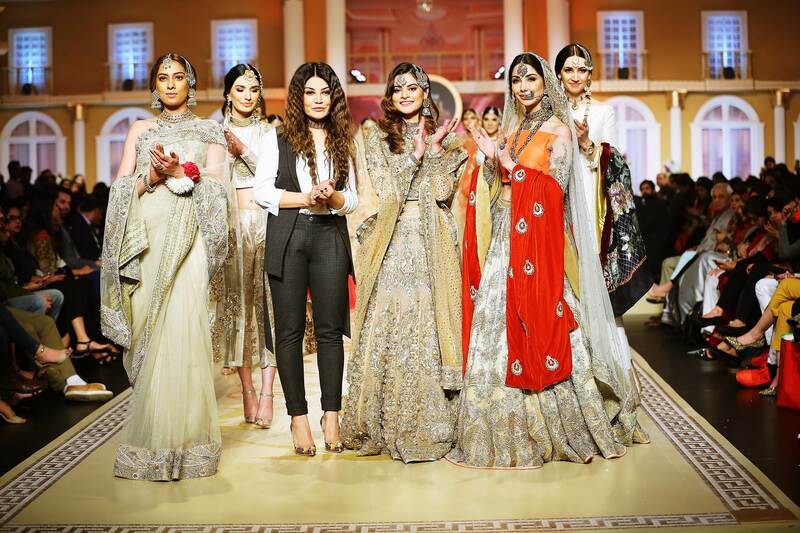 Minal Khan show stopped for the designer in a champagne coloured heavily embellished lehenga choli. Show 2 began with Chinyere’s ‘Thumri’ Collection, which had a very Ali Xeeshan feel to it; from the dance, music and even the collection. It was a colourful collection with intricate detailing. The men’s collection featured maroon and black coloured sherwani’s accessorised with turbans. 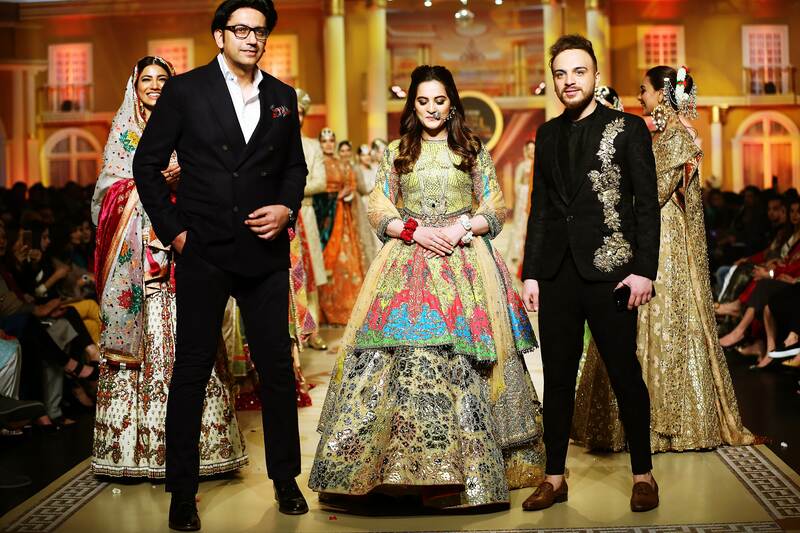 Showstopper Aiman Khan wore a green, gold colour lehenga and kameez with dabka detailing. Demesne Couture made their BCW debut with their trendy collection “Escape de Vivre”. It played with deep tones and intricate detailing which did not feel too overdone. From western silhouettes to traditional lehenga choli’s, Demesne made a great debut. The deep tones and iridescent golds on opulent fabrics and contemporary cuts and flares redefined the traditional chic image. 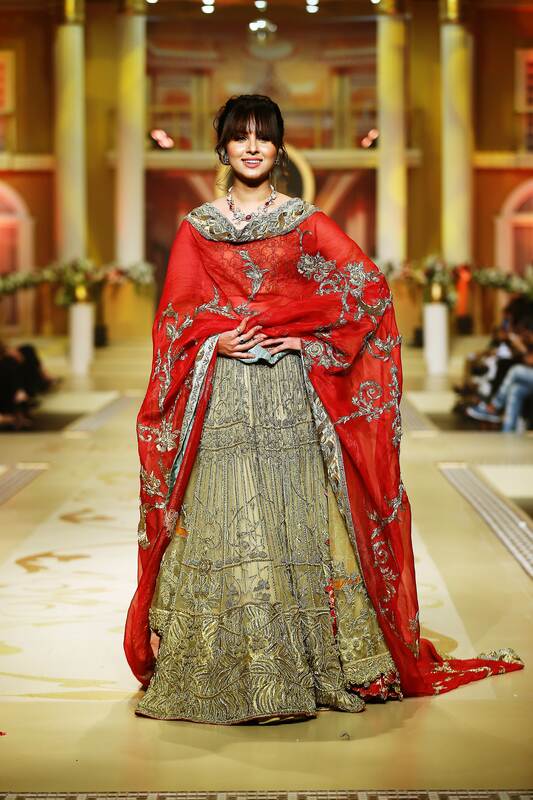 Showstopper Nimra Khan wore a red and gold lehenga choli. The second last showcase for the night was Royal Tag’s Modern Man collection was all about craftsmanship. From well-tailored three-piece suits to traditional outfits, this collection sure a treat to the eye. 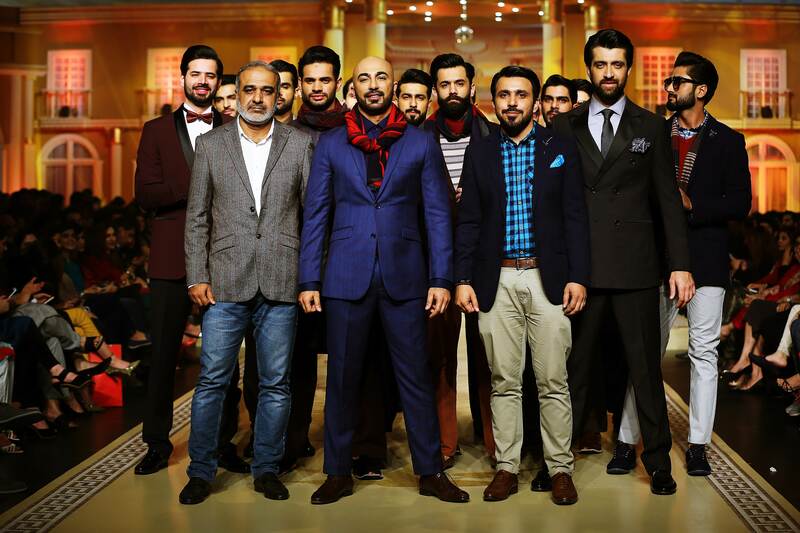 Showstopper HSY wore a navy blue suit sported a red and black scarf. The last collection for the night was the revival of brand Lajwanti with the collection ‘Sultana’. Inspired by the grandeur of the Turkish Ottoman Empire. This collection featured traditional silhouette with intricate detailing with a soft colour palette. The menswear featured long shirts and pants sported with shawl’s and turbans with the props gave a very royal feel to it. Showstopper, Mawra Hocane wore an orange-red lehenga choli with heavily embellished work on the choli and detailing at the bottom of the lehenga. The final day’s lineup looks interesting, we sure hope the collections are as well.